Parti Rakyat Malaysia to field two ex-journalists in Penang in its return to the political arena after a long hiatus. 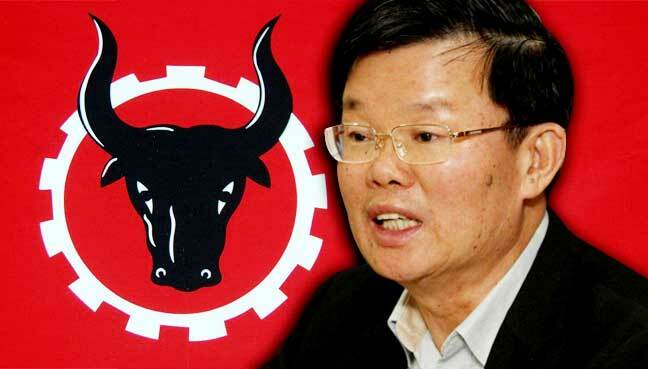 GEORGE TOWN: After disappearing from active politics for many years, Parti Rakyat Malaysia (PRM) is gearing up for a comeback in the 14th general election (GE14), with one of its members taking on state DAP chairman Chow Kon Yeow. Former National Union of Journalists leader Chua Cheong Wee, 49, has been slated to contest against Chow in his Padang Kota state seat. Chow has held his seat for two terms with increased majorities since 2008, after beating three-term assemblyman Teng Chang Yeow of Gerakan. Chow, too, was a journalist before entering politics. Chua, who used to be a reporter at Chinese language daily Kwong Wah Yit Poh (KWYP), is from Penang. His former KWYP colleague, Chew Sung Tung, 35, will also stand in GE14 in Pengkalan Kota, a neighbouring seat of Padang Kota, which is also held by DAP. DAP’s Lau Keng Ee won Pengkalan Kota in the past two elections. Penang PRM chairman Tang Hiang Lye said it was looking to make a comeback in the state as well as nationally. “All I can say is, please come for our event on Saturday where we will present more surprises. We are fielding many candidates for Penang,” he said when contacted. Meanwhile, Chua said he was contesting because the people were fed up with the mainstream politics demonstrated by Barisan Nasional (BN) and Pakatan Harapan (PH). “Both parties have their own problems, so it is time for an alternative choice,” he told FMT, adding that he would reveal more this Saturday. Ahmad Boestamam, an activist with the leftist Kesatuan Melayu Muda movement, founded PRM in 1955. The party was renamed the Malaysian People’s Socialist Party and officially adopted scientific socialism as its ideology. Despite the party’s re-orientation, the post-1969 political scenario meant that it remained largely on the sidelines. In 2003, PRM merged with the then-Parti Keadilan Nasional to form PKR. However, several PRM members decided to remain within the party and, in 2005, formed an executive committee.